YETISPORTS was an established brand in the online and mobile game industry worldwide. 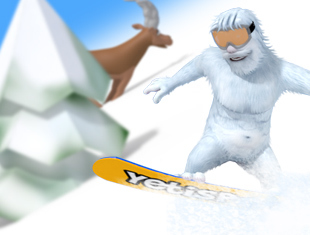 Since 2004 about 300 million users have played the Yetisports online and mobile game series. Mainly due to extensive viral marketing it turned out to be the most successful online game series ever. The brand is known by regular users of all ages, soft gamers, hard gamers and the media. There has been coverage of Yetisports related topics on worldwide TV stations, radio stations, print magazines, daily newspapers, online media, blogs and on private websites of users. These games require Flash to play in your browser! Try the iPhone and Android apps if you are having trouble. Enjoy! Hit the Pengu, rotate in air, bounce as often as possible and reach the end wall as high as possible. Hit the Pengus by throwing snowballs and try to put them in the middle! How many can you hit in a row? Find the longest airway. 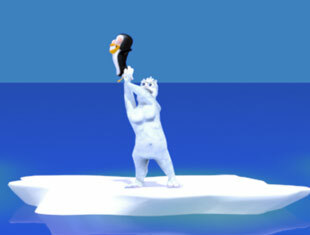 Keep Pengu out of the water as long as you can and collect meters to score. Let albatrosses do the work this time. 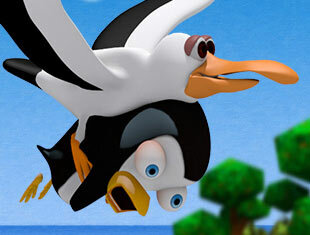 Control a limited number of wingflaps per albatross and pass on Pengu to the next one. 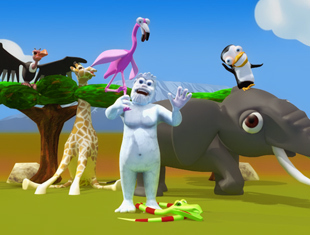 Yeti Style Golf: Start at east side tee, use the flamingo as club to get Pengu in the hole, which is located at the west (left) end of the course. It's a par 8. 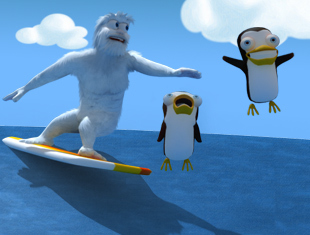 Surf the water wave and hit the pengus. Jump height and jump tricks will increase your score. Try to get more pengus per jump! 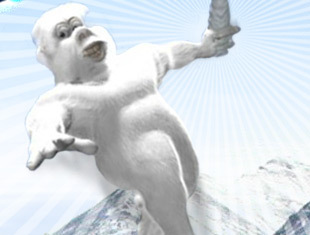 Yeti and the Pengus are visiting the Alps! 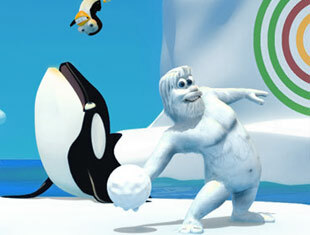 25 Pengus are trying to distract Yeti from the real aim of the snowboard game... to do some fancy jumps! Swing up the jungle trees. Learn how to regrow branches. 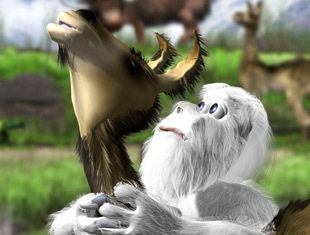 Yeti takes a llama and trains it to spit! Don't miss more than 9 times. Throw your 12 icicles into the cliff side. Help the pengus climb.